The thirty-five medieval parish churches of central Norwich that survived the Reformation were only part of the story. There were also 19 other churches that served priories, abbeys and hospitals. They did not have parochial uses, and are now mostly lost to us. But remains of several survive, most notably the massive Blackfriars church, now divided into St Andrews Hall and Blackfriars Hall. 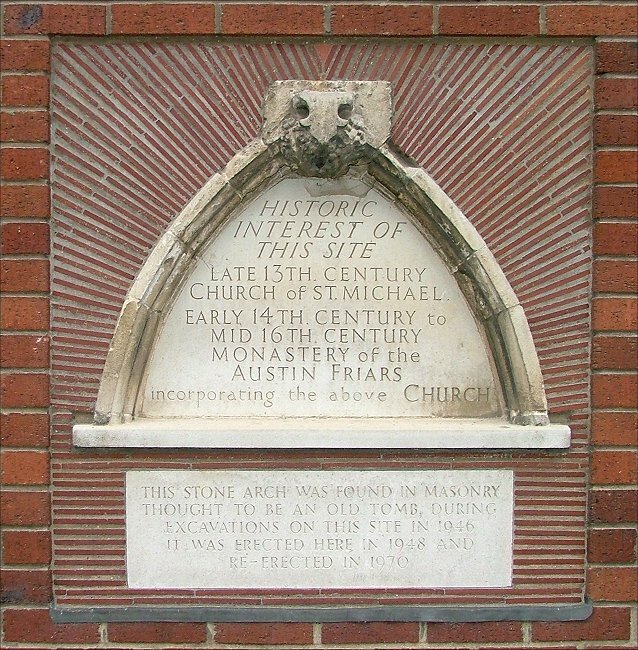 Of the others, St Michael Conesford is an interesting one; it actually existed and served as a parish church before the early 14th century, when the Austin Friars came along and set up their community on King Street in the heart of historic Conesford. The church became their priory chapel, and the parish of St Michael was merged into that of St Peter Parmentergate a hundred metres away. Not unnaturally, St Michael did not survive the Reformation, and King Street in the 18th and 19th century became a rundown area of riverside industry and warehousing. The area was heavily bombed in the Second World War, and in the clearances afterwards some medieval tomb tracery was found in the rubble. When this warehouse was built in 1970, the tracery was set in the wall above a plaque recalling St Michael. 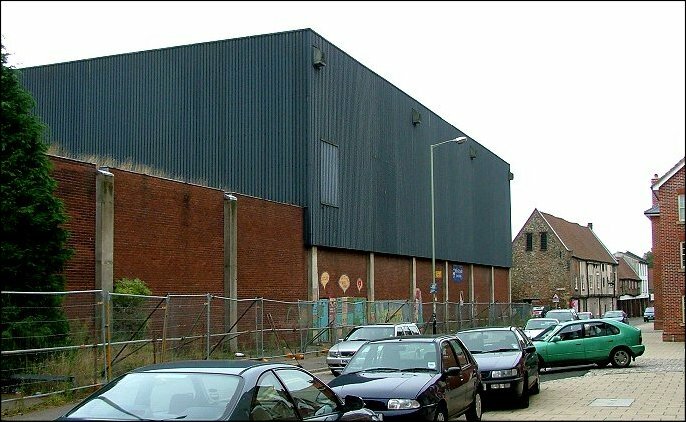 King Street is now the heart of a regeneration zone, and this warehouse is empty, soon to be demolished. In its place will be social housing and artisans workshops, as life is brought back to the south of the city centre. Hopefully a place will be found for this slim memory of St Michael and the days of monastic Conesford.